We've been way too excited about eyes for 70 years & counting. We have a reputation for creating quite a spectacle. Our staff is as happy to see you as they are to help you see. We're well equipped to serve your unique needs. 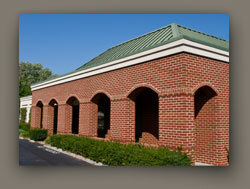 Winston Eye & Vision Center has been Knoxville's leading eye and vision center since 1942. Our office is staffed with experienced and professional associates who will help you find the perfect set of designer eyewear, lenses or contact lenses to fit your unique needs.